When you’re in a car crash, your body is impacted with incredible force. Naturally, structural issues can start to arise when the spine and joints are forced out of proper alignment. These misalignments or subluxations can cause the soft tissues to try and compensate, going into spasm or tightening, and leaving you suffering from various problems. Some people are instantly in pain following a car accident (MVA), while others can take weeks to feel the devastating effects. At Fisher Heights Chiropractic Clinic, we want to help you return to your pre-accident state with chiropractic care, massage therapy, physiotherapy modalities and rehabilitative exercises. When necessary, we can refer you to our network of other health professionals or may even suggest you join a gym to help your injuries. With our multifaceted approach to health care, your muscles, spine and joints are all addressed so that your health can be restored. Those who don’t get checked by a chiropractor can be bothered by pain for years, experiencing diminished function and a lowered quality of life. 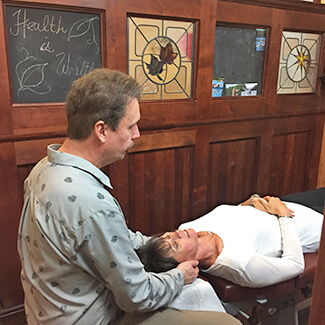 A chiropractor is the only practitioner who is trained to remove subluxations. If left untreated, your body won’t be able to return to its proper alignment. We’re happy to work with your insurance company and offer direct billing. Contact us today to get on the path to feeling better!